All California public schools are invited to apply for the Civic Learning Awards. 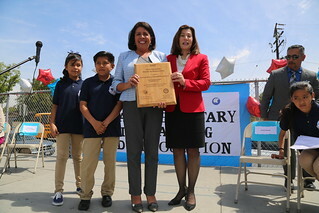 Now in its fifth year, the awards are co-sponsored by Chief Justice Tani Cantil-Sakauye and Superintendent of Public Instruction Tom Torlakson. The awards are generously supported by a grant from the California Bar Foundation.